The charm of a boutique property combines with the convenience of a central location at The Vira Bali Hotel. Set back from the famous Jalan Kartika Plaza in downtown Kuta, a short drive from the airport, this chic hotel is located a few minutes walk from Bali's iconic landmarks: the beachfront Discovery Shopping Mall, Kuta Square shopping arcade and markets, Waterbom Park and Hard Rock Cafe. Great shopping, dining and nightlife venues are on your doorstep, not to mention the magic of Bali's beaches. 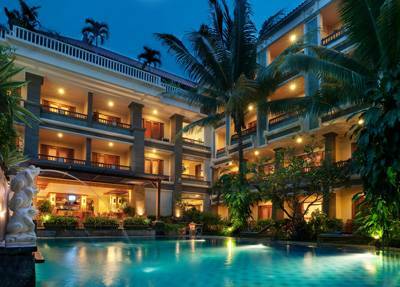 The Vira Bali Hotel boasts 56 well-appointed rooms, comprising four Suites. Facilities include an award-winning restaurant serving Western and Asian cuisine, a serene spa and reflexology center, a fully-equipped conference and meeting room, Business Center with PCs and high-speed internet connection, wireless internet, and a shop selling a range of quality Balinese handicrafts and home wares. SUPERIOR ROOM: Located on the 2nd floor, 35 sqm. Private balcony. Set out in fashionable muse-style around tropical garden and swimming pool. Successfully combine modern and minimalist architecture with Balinese touch. Decorated in chic tropical style, white crisp bed linens and lots of teak wood. 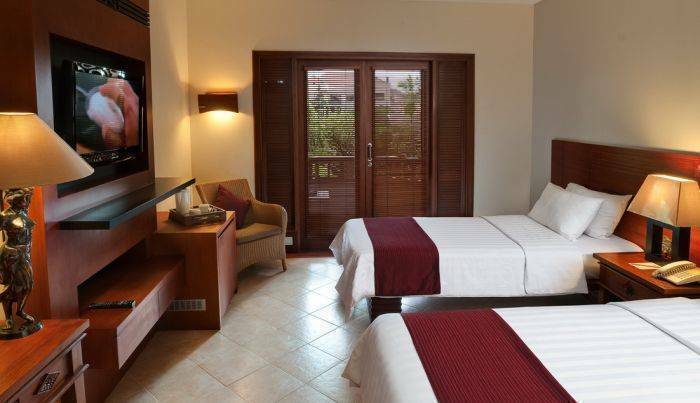 DELUXE ROOM: Located on 3rd & 4th floor with private balcony, room size 38 sqm. Set out in fashionable muse-style around tropical garden and swimming pool. Successfully combine modern and minimalist architecture with Balinese touch. Decorated in chic tropical style, white crisp bed linens and lots of teak wood. DELUXE POOL ACCESS ROOM: Available in ground level with private terrace and direct access to the pool room size 35 sqm. Set out in fashionable muse-style around tropical garden and swimming pool. Successfully combine modern and minimalist architecture with Balinese touch. Decorated in chic tropical style, white crisp bed linens and lots of teak wood. SUITE ROOM: Located in 2nd & 3rd floor, room size 61. 66sqm. Separate bedroom with huge bathroom with private balcony overlooking to the swimming pool. Private dining area, living area, 1 family refrigerator, 1 mini bar, small pantry and complimentary use of DVD player. 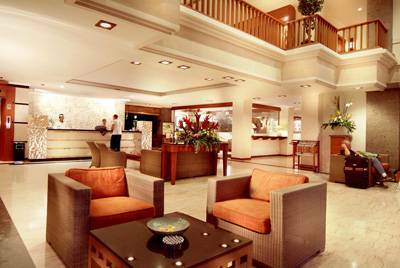 The Vira Bali Hotel centrally located in South Kuta Beach area. Within just a few steps away from all the hub and excitement that Kuta has to offer. With restaurants, shoppings, fashion boutiques, cafe's, and the stunning Kuta Beach with its famous sunsets just right on the doorsteps. A wide selection on beach front restaurants serving fresh grill sea food. Restaurants with daily performances (traditional dances around Indonesia). Any cancellation made 2 days prior to arrival and no-show, a one-night cancellation fee will be applied to guest's credit card. From the airport exit, turn left to Jalan Kartika Plaza. 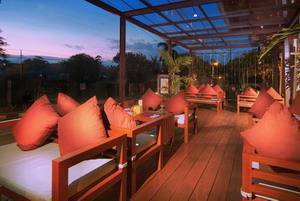 The Vira Bali hotel located on the right side approximately 1 kilometer from the airport. Advice your flight details minimum 48hours prior to your arrival to get your complimentary airport pick up service. Or otherwise you may take a taxi meter from the aiport.